Question: I want to purchase full coverage for my vehicle. Why is my quote for liability only. Answer: There are three potential reasons why you can only purchase a liability only Mexican car insurance quote. 1. The age of the vehicle is over 20 years old – vehicles this old are ineligible for physical coverage. 2. The value of the vehicle – anything lower than $3,000 is only eligible for liability only. 3. No coverage exists for the vehicle in the US or Canada – you must have a valid policy in the US or Canada on your vehicle in order to be eligible for a Mexican auto insurance policy with comprehensive coverage. Question: I would like to purchase coverage for more than six months. Do I have to maintain coverage in my home country? Answer: Yes – in order to have comprehensive coverage for your vehicle, you must carry a policy at home with a minimum of liability coverage. Question: If we are involved in an accident, what do we do? Answer: If you are in an accident, immediately call the number listed on the first page of your policy. An adjuster will be immediately assigned and come to the scene to help with next steps. DO NOT under any circumstance leave the scene and report the accident later. Question: Do I need to carry the policy with me? Answer: You need to have a copy of your policy in the insured vehicle at all times. Question: How do I know the insurance I am buying is from a reputable company? Question: What is the fixed deductible option on some policies? Answer: Typical Mexican policies use percentages to calculate deductibles and Mexican insurance policyholders have to absorb 2% of the value of the vehicle for collisions and 5% of the value of the vehicle for theft. Our policies have an option to choose a fixed deductible so you are not surprised by an unexpected large deductible in the event of a loss. Question: In the event of a loss, how is the value of my vehicle determined? Question: Are claims paid in Mexican Pesos or US Dollars? Answer: Mexican insurance companies settle all claims in U Dollars from a US Bank should you choose to have repairs done in the US. If repairs are done in Mexico, then the shop who is being paid will be paid in Pesos. Question: How can I get a quote for Mexican auto insurance? Answer: You can get a quote online here. Question: What cannot be covered? Question: What are Medical Payments? Answer: Medical payments on your policy means that the driver and passengers of the insured vehicle will receive medical coverage if they are in an accident. Limits can vary depending on your policy. Question: What if I did not add another driver on the policy when it was issued? Answer: The policy issued is on the vehicle, so anyone driving the car is covered as long as they have a non-Mexican drivers license, are over age 21, and have permission to operate the vehicle. Question: Can I get coverage on items I am towing? Answer: You automatically have liability-only coverage on items on your are towing as long as it is being towed by the insured vehicle, however if it is self propelled vehicle like a boat, motorcycle, ATV, etc., it needs to have its own policy to be covered. Question: Can I cancel my policy? Answer: Yes. Refunds will be credited to the credit card you used when you purchased the policy. If the policy is canceled before the insurance coverage begins, you will receive a full refund less the policy fee. If the policy has already started, there are no refunds unless it is a policy for 6-months or more and it is prorated. Question: Can I bring a leased vehicle into Mexico and can I get insurance coverage for it? Answer: Yes, but you must first have permission letter from the Lessor to drive the car into Mexico. You also need to make sure the Lessor’s information is on the policy application. Question: If I am in an accident, do I have to have repairs done in Mexico or can I bring it back to the States for repair? Answer: As long as your vehicle is in safe driving condition, you can choose to have your vehicle repaired in the States, however you must make your claim at the time of the accident and not when you return home to the States. Question: What if my personal items are stolen from my vehicle, like my cell phone? Answer: Personal items are not covered in a temporary Mexican auto insurance policy, however often times they are covered in a homeowners or renters insurance policy. So you’re on vacation in Mexico and decide to get a rental car to explore the area. You might think you can purchase a one-day temporary Mexican insurance policy to cover yourself because liability insurance is mandatory when driving in the country, but you’d be wrong. Due to Mexican laws and regulations, temporary insurance polices cannot be written on rental cars that are registered in Mexico. If you are in an accident with only this coverage, you will be sadly out of luck and face fines and possible arrest. 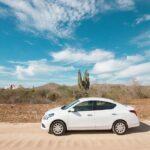 There are two options for insurance when you are renting a vehicle in Mexico. Check with your credit card company to see if they offer any kind of physical damage coverage that would extend to Mexico. Purchase a minimum liability insurance policy from the rental agency. The good news is that daily rates for rental vehicles is generally pretty inexpensive. That bad news is the insurance coverage tends to be the more expensive portion. Despite what you may hear on the news and the threats from the bully-of-a-president, not all relationships with Mexico and the US are negative. This week a new report out on the safety corridor project from Tuscon to Puerto Peñasco and how both sides of the border have worked together to make it safer for travelers from the US to the Mexican town. The Arizona-Mexico Commission worked directly with the Mexican government to improve road conditions and post signs in English and Spanish along the route to Puerto Peñasco so it’s easy for travelers to get where they are going safely. The safety corridor makes up a total of 63 miles and 2.3 million Americans visited Puerto Peñasco in 2018 along. As proof of their efforts, zero accidents were reported in the first year. If you do plan to travel into Mexico to visit this amazing place, keep in mind that your US-issued auto insurance policy is not valid in Mexico and you are required to purchase temporary auto insurance. There have been reports of Mexican police stopping vehicles and checking to make sure you have insurance coverage in Mexico. US Insurance Company GEICO is encouraging people planning to visit Mexico by car to purchase auto insurance. In a press release in January, GEICO reminds drivers that US auto insurance policies are not valid in Mexico and as of January of 2019, all vehicles traveling on federal roads are required to have insurance. It has been seen by many expats in Mexico that the Federal Police (Policia Federal) are randomly setting up checkpoints to stop drivers and validate current insurance coverage. Since US and Canadian insurance is not valid in Mexico, it’s mandatory to have temporary Mexican auto insurance when you come into the country. 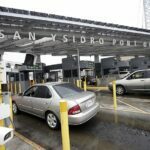 Keep in mind that while some US insurance companies have told policyholders that their insurance covers them within so many miles of the border, that policy is not recognized by Mexican authorities and you will face fines. On January 1, 2019, a new law went into effect requiring all cars traveling on federal roads to have civil liability insurance. Civil liability insurance is third party liability insurance and covers damages to third parties and property. This is much like the temporary auto insurance you must have as a foreigner traveling into Mexico. While the law was approved back in April of 2013, it was not put into enforcement on all vehicles until this year, and violators face fines ranging from 2,000-4,100 pesos. (about $100-$215 USD) When this law was first passed, it only applied to newer cars and certain values but as time went on, it applied to older models and now all cars. The obvious goal here is to help protect victims of traffic accidents, which on average leave 44 dead and 369 injured every day. Vehicle accidents are the second cause of death in Mexico. The minimum required limits for civil liability insurance is 100,000 pesos (about $5,200 USD) for persons and 50,000 pesos (about $2,600 USD) for property damage. Federal police have already started random checks on federal roads to ensure people carry the required insurance. Do I need Medical Evacuation Insurance when Traveling Abroad? You’ve decided to book that well-deserved vacation to Mexico or wherever your dream vacation spot is located. You’ve purchased your tickets, packed your bags, signed up for some activities at the resort, everything is going to be great. But what if something happens? What if that jet-ski excursion or zip-line adventure doesn’t go as planned and you or one of your loved ones is injured? If it’s a minor injury, you can probably get by with a visit to the local hospital, but what if it’s more serious? What if you need to be back in your home country for care? If you’ve purchased travel medical insurance then your care abroad will be covered but those plans don’t usually cover emergency evacuations. An air ambulance home could break your bank if you don’t also have travel evacuation insurance. One of the best things about travel medical insurance is how affordable it is. Plans start for as low as $16 and they also offer semi-annual and annual plans for maximum coverage. As an example, a Mexico-only annual plan is just $195 per year. The next time you travel abroad, do it with the assurance that you and your family are covered in the event of a major emergency.